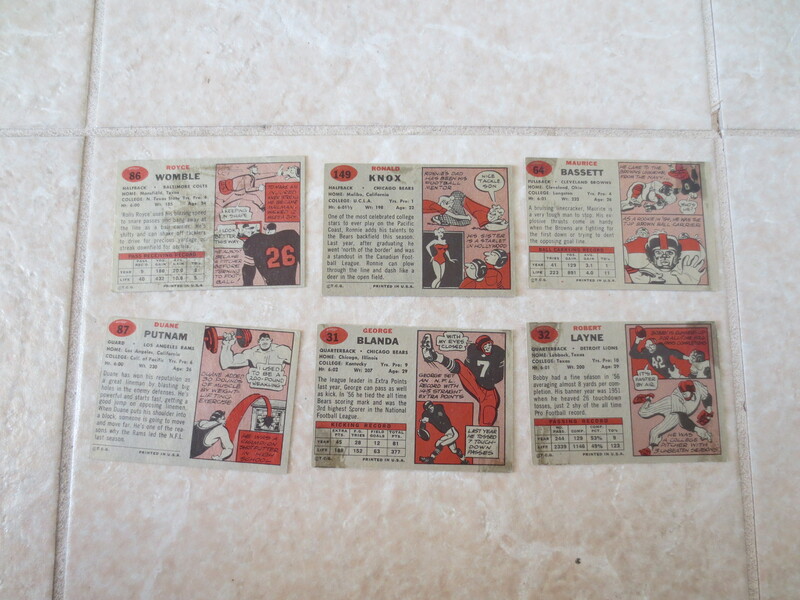 Lot Detail - (6) 1957 Topps football cards including George Blanda, Bobby Layne in very nice condition! (6) 1957 Topps football cards including George Blanda, Bobby Layne in very nice condition! 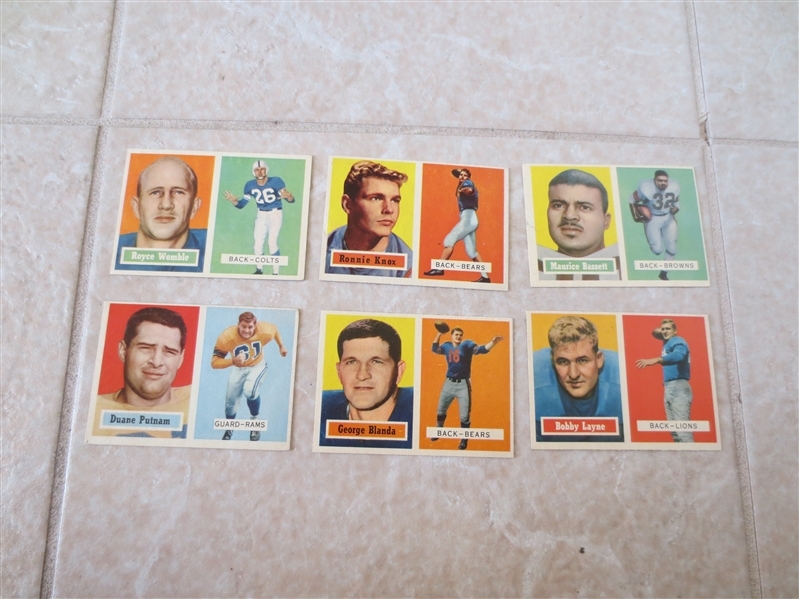 What we have here are six different 1957 Topps football cards including George Blanda and Bobby Layne. 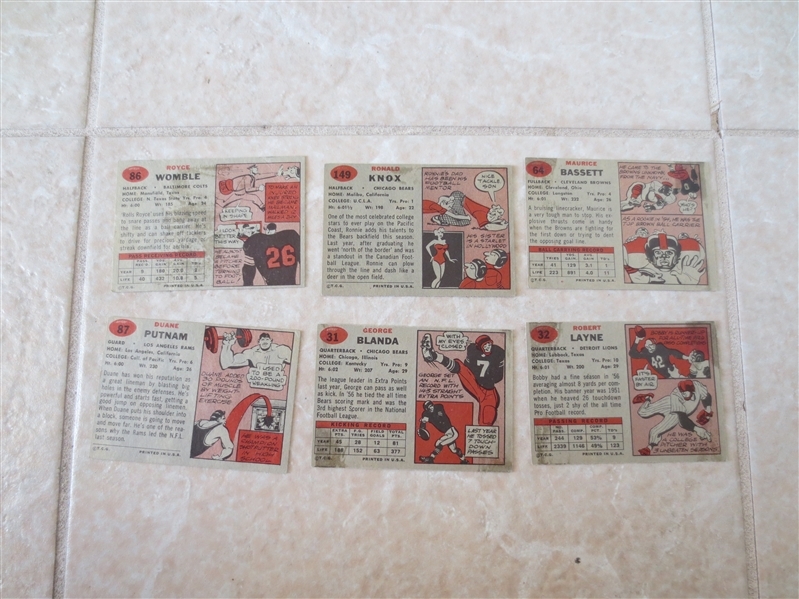 I would grade these near mint!